Modern communications are essential to meet today’s business demands. Mobile workers; rapid market change; increasing customer expectations; rising employee expectations; collaboration with suppliers, partners and customers; lower cost competitors…These are just a handful of the common expectations companies have of their business communications environments. But traditional PBX phone systems are anything but modern. Just think about which boxes they actually tick…NONE. In other words, many communications systems no longer match business needs. Even worse, they can seriously damage your profitability. Direct costs alone can be enormous CapEx budget line items, such as: equipment, facilities, maintenance, and upgrades. The indirect costs stack up as well with lower productivity, missed opportunities, and lost customers. None of these things is what you’re looking for to grow and expand your business. Let’s start with productivity. Because traditional phone systems were designed for office-based working, they do not enable mobile workers to access the information they need to do their job efficiently, wherever they are. More and more frequently, wherever they are is in the field. Because of this inability to answer prospective questions immediately and the back and forth reequired to hunt for information, productivity drops and possibly customer satisfaction drops, or at least the ability to wow the customer by having everything needed at your fingertips. Productivity losses = lower profitability. Then there are the opportunities you’re missing. 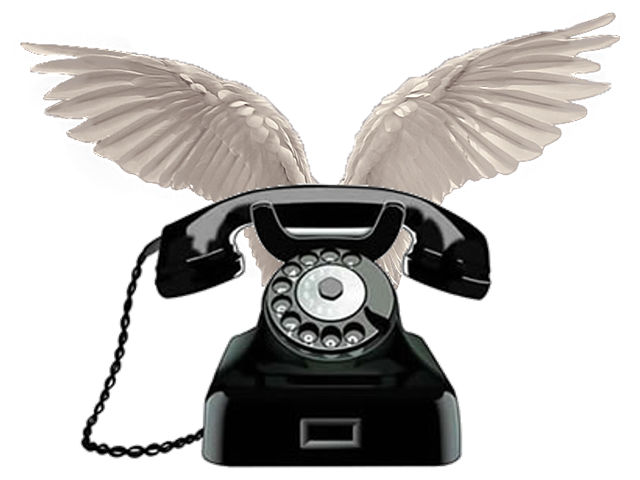 Traditional phone systems are designed around fixed locations. They don’t let you establish a virtual presence in new markets or support seamless collaboration. They restrict your agility to capitalize on new opportunities. Missed opportunities = missed revenue. And what about customer service? Today’s customers expect to be connected to the right person, with access to the right information, right away. Or, when encountering a salesperson or tech in the field, customers expect these agents will have access to all required information. 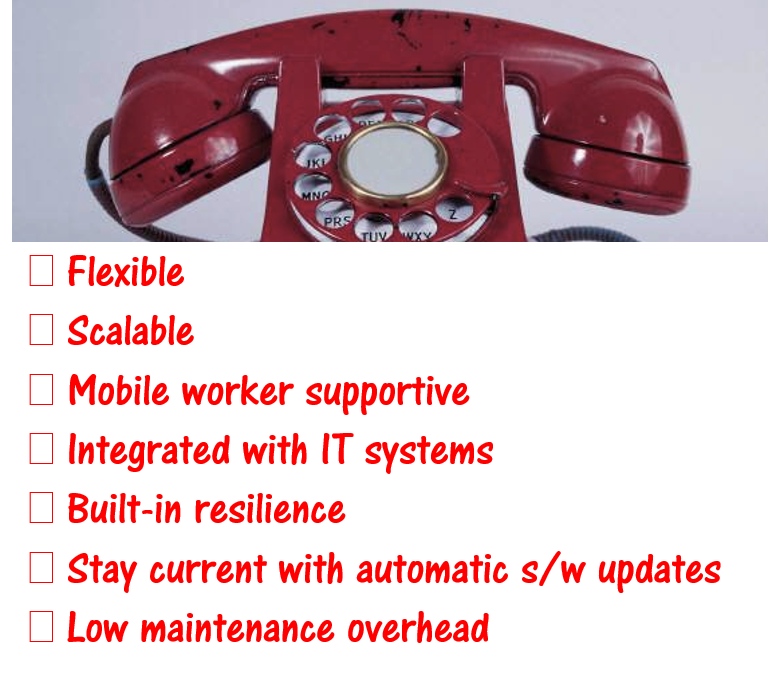 Traditional phone systems simply can’t deliver to this higher expectation. Poor service = lost customers. It’s not just your customers who are losing out. It’s your employees too. If your communications system prevents your staff working with the mobile devices and apps they need, this reduces their ability to get the job done and close the deal. When salespeople are prevented from doing their job well and maximizing their closing ratio, your best people could soon be somebody else’s. Inflexible working = loss of key employees and weak recruitment. What about downtime? Old, on-premise phone systems put you at risk of a major IT or communications outage, threatening your sales, productivity and reputation. Putting your communications in the cloud and leveraging mobile apps tied with your system means you should never be completely down again. Outdated systems = increased downtime. Finally, there’s the issue of wasting your IT resources, whether they are in-house or outsourced to a third party. An outdated phone system can tie up your high-value IT resource on low-value maintenance when it should be focused on adding value to your business. Routine administration = wasted IT overhead. Well that painted picture is pretty bleak, so how do we change it? It will come as a relief to learn you can gain flip all these scenarios to positives and free yourself from all these restrictions by switching to a modern Cloud Communications solution. A cloud-based Unified Communications solution ticks all the boxes, supports higher productivity, gives you the agility to seize new opportunities, delivers excellent customer service, enables flexible working, minimizes the risk of downtime, and frees your IT resource up to focus on innovation. The longer you let your phone system hold you back, the more opportunities you’re missing. Contact the OCN Team to find out how a Cloud Communications solution could make you more competitive. Sound intriguing but not sold yet? Now you can try before you buy. Click here to start a free trial, no credit card needed. No messing with your infrastructure while you check it out. For a true test of all the features, invite your colleagues to try it with you; you’ll be prompted to do so.